Decks were cleared for the first ever formation of a BJP-PDP coalition government in Jammu and Kashmir following a “historic” meeting between Prime Minister Narendra Modi and PDP chief Mufti Mohammed Sayeed where the two leaders gave their approval for a common minimum programme (CMP) for governance. The swearing-in will be on March 1. “It was a war of nerves,” he admitted to a questioner when asked about the BJP and the PDP reconciling two extreme ideologies but added that “common ground has been found” and both sides were “flexible”. Repeating the BJP slogan of sab ka saath sab ka vikas, he said, the Prime Minister has won the mandate of the people of the country and has full legitimacy to decide on this alliance and adding that “this had to be done’”. “We will now give a healing touch to the State,” he said. via Mufti-Modi meeting clears decks for BJP-PDP government in J&K – The Hindu. In small-town northern India, Muslims are offered food and money to convert to Hinduism. If that doesn’t suffice, they say they’re threatened. Across the country, the Christmas holiday is canceled for hundreds of government servants who spend the day publicly extolling the policies of Prime Minister Narendra Modi. Powerful Hindu nationalist leaders — some with close ties to Modi’s government — say they intend to ensure India becomes a completely Hindu nation. But Modi himself? He has remained silent as nationalist demands have bubbled over into day-to-day politics, and amid growing fears among minority religious groups of creeping efforts to shunt them aside. via Religion in India bubbles over into politics – Businessweek. Indian Prime Minister Narendra Modi, who took office just last month, has accepted an invitation from President Barack Obama to visit Washington D.C. in September. If the visit happens as scheduled, he will be the latest leader of the world’s largest democracy to visit the world’s second largest democracy. The relationship goes both ways. 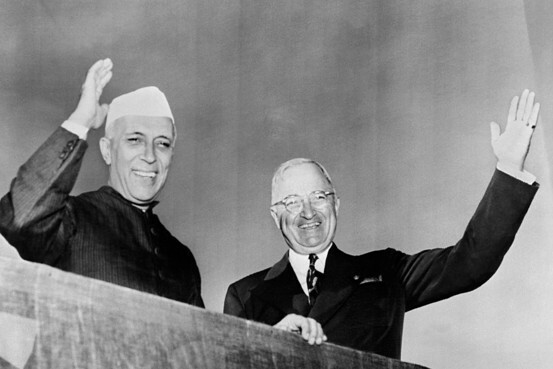 U.S. Presidents going back to Dwight D. Eisenhower have made visits to India. Click here to see the list of U.S. presidents who have made the trek to South Asia. While most Indian Prime Ministers had official visits to the United States, six Indian premiers–including Lal Bahadur Shastri and H.D. Deve Gowda–did not visit the states while they were in office. Here is a list of some of the trips made by prime ministers according to the U.S. Department of State. Jawaharlal Nehru: The first prime minister of independent India went to the U.S. in 1949 and then in 1956 at which time he visited Washington D.C. and Pennsylvania. Indira Gandhi: Ms. Gandhi visited the U.S. three times during her years in office. Her first visit was in 1966 when Lyndon B. Johnson was the president. Her second visit came in 1971 and her final visit was in 1982. Morarji Desai: Mr. Desai went to the U.S. in 1978 visiting New York, San Francisco and Omaha. Rajiv Gandhi: Mr. Gandhi visited the U.S. two times in 1985 and once in 1987. He was assassinated two months after his 1987 visit. P.V. Narasimha Rao: Mr. Rao–who is credited for starting to open India’s economy– visited the U.S. twice during his four years in office. He met President George H.W. Bush during a U.N. Security Council Summit in New York in 1992. He visited again two years later to address a joint meeting of the U.S. Congress. Inder Kumar Gujral: Though Mr. Gujral served as India’s prime minister for less than a year, he found time to visit New York where he met President Bill Clinton at the U.N. General Assembly in 1997. Atal Bihari Vajpayee: Mr. Vajpayee—the last prime minister from Mr. Modi’s Bharatiya Janata party–visited the U.S. four times during his five years in office, twice in 2001 and once each in 2002 and 2003. Manmohan Singh: Mr. Singh was the prime minister for close to ten years until last month. He visited the U.S. on no less than seven occasions. via Timeline: Indian Prime Minister Visits to the U.S. – India Real Time – WSJ. India is back. Last week’s election tally shows that an allegedly divisive leader has united the country as no politician has in decades. 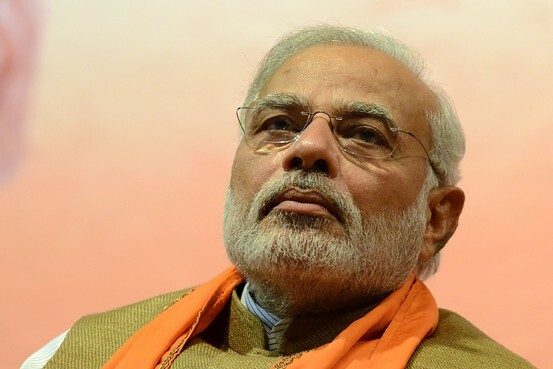 India is now in the hands of a prime minister who has managed the economy of its most industrialized and globalized state—one that has grown faster than China for two decades—and the consequences will extend far beyond India. 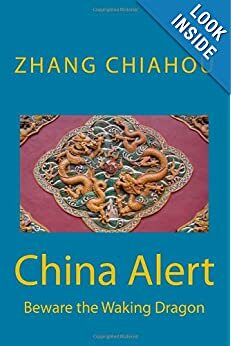 The U.S., China and Japan all have high stakes in an Indian resurgence that could tilt Asia’s power balance in a democratic direction. As the first Indian prime minister born after independence, Narendra Modi could now declare Indian independence from the old shibboleths of state socialism and non-alignment that have kept the country poor and geopolitically marginalized. 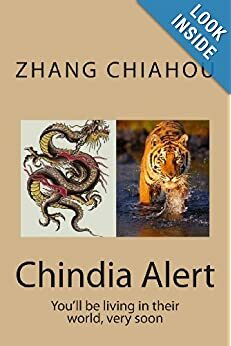 To fulfill his people’s aspirations—tackle chronic underdevelopment at home, close the gap with Chinese power abroad—Mr. Modi will need all the western and Japanese capital, technology and military support he can get. The last prime minister from Mr. Modi’s Bharatiya Janata Party, Atal Bihari Vajpayee (in office 1998-2004), declared India and America “natural allies” after decades of alienation. He also conducted nuclear tests to deter Chinese adventurism, visited Lahore to sketch out a vision for peace with Pakistan and opened the door to U.S.-India defense cooperation. Yet Indo-U.S. ties weakened in recent years, part of what Mr. Modi calls the general “stagnancy” afflicting his country. via Modi’s Challenges on the World Stage – India Real Time – WSJ. The simplest way to understand the enormity of the Bharatiya Janata Party’s victory Friday in India’s election is to place it in historical context. For the first time since 1984, India’s voters have given a single party rather than a ragtag coalition a majority in Parliament. The BJP won 282 seats, 10 more than the 272 needed to reach the halfway mark in the 543-seat lower house of Parliament. The BJP-led National Democratic Alliance coalition snagged 336 seats. For the first time ever, India’s traditionally left-leaning politics has moved decisively to the right. Even when it won more seats than the left-of-center Congress Party in three elections in the late 1990s, the BJP always lagged its rival in share of the popular vote. This time the BJP snagged nearly one third of the national vote, while Congress claimed less than a fifth. 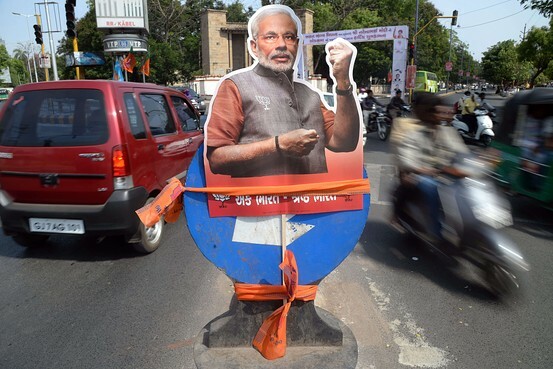 The BJP also made inroads into southern and eastern India, outside its traditional strongholds in the north and west. The rightward swing is all the more notable because incoming Prime Minister Narendra Modi belongs to the conservative wing of India’s conservative party. Unlike the last BJP prime minister, Atal Bihari Vajpayee (1998-2004), Mr. Modi cut his teeth in politics battling Congress when it briefly suspended democracy in the mid-1970s, not admiring Jawaharlal Nehru’s parliamentary eloquence in defense of socialist policies in the 1950s. Congress itself has been reduced to a rump. The 44 seats it won is less than half of its previous low of 114 seats in 1999. Congress has proved naysayers wrong before by bouncing back. Still, for the first time talk of the possible extinction of a party that has ruled India for all but 13 years since independence in 1947 seems plausible. And the two main communist parties, which have traditionally wielded influence both inside and outside Parliament and helped set the tone for much anti-capitalist and anti-Western discourse, have been reduced to a footnote. Together they hold a meager 10 seats. via Modi’s Next Move – India Real Time – WSJ. The BJP’s prime ministerial candidate Narendra Modi on Sunday accused the Congress of not even acknowledging the existence of the tribal population in the country in the past 60 years. The Gujarat Chief Minister was addressing a gathering of people from a tribal belt in Rajasthan’s Banswara district, some 500 km from state capital Jaipur. Rajasthan will go to the polls December 1 to elect new members to with its 200-seat assembly. “The tribal population exists in this country since the time of Ramchandraji. It existed during the Independence struggle. Everyone but the Congress is aware of the existence of the tribes for centuries,” Mr. Modi said. Mr. Modi said that it was former prime minister Atal Bihari Vajpayee who brought a tribal ministry into being, and also allocated a separate budget for tribals. “Congress doesn’t consider tribal people as humans. For them, it is just a vote bank,” Mr. Modi said. “They keep screaming about irrelevant things, but they don’t talk about inflation. Congress had promised to contain inflation in 100 days, but nothing happened,” he said. “Did Sonia, Manmohan or Rahul speak or mention anything about rising prices in their speeches?” he asked. Mr. Modi also referred to union Law Minister Kapil Sibal’s statement, claiming that the prices of vegetables have risen because the poor are able to purchase them, and demand for these has gone up. “A senior minister of the Congress party said a couple of days ago that the poor used to eat chapatis without vegetables but they are now affording to eat two dishes of vegetables. He termed it the reason for rising inflation,” said Mr. Modi. Mr. Modi referred again to Mr. Rahul Gandhi as Shahzada, and said that the All India Congress Committee vice president usually spoke of the poor, but there are slum areas near his own house in Delhi. “These slum areas fall in the constituency of Delhi Chief Minister Sheila Dixit. The conditions are so pathetic at these places that there are only two toilets for 200 people,” Mr. Modi said. Mr. Modi will address three more election rallies in Rajasthan on Sunday. via Congress did nothing for tribals: Modi – The Hindu.